Area: 652,230 sq. km. (251,827 sq. mi. ); slightly smaller than Texas. Cities: Capital: Kabul. Other cities — Kandahar, Herat, Mazar-e-Sharif, Jalalabad, Konduz. Terrain: Landlocked; mostly mountains and desert. Climate: Dry, with cold winters and hot summers. Nationality: Noun and adjective — Afghan(s). Population (July 2009 est. ): 28.396 million. More than 3 million Afghans live outside the country, mainly in Pakistan and Iran, although over 5 million have returned since the removal of the Taliban regime. Education: Approximately 7 million children, of whom some 37% are girls. Literacy (2008 est.) — 28.1% (male 43%, female 12%), but real figures may be lower given breakdown of education system and flight of educated Afghans during 3 decades of war and instability. Health: Infant mortality rate (2011 est.) — 125 deaths/1,000 live births. Life expectancy (2011 est.) — 49 years. Branches: Executive: president (chief of state). Legislative — bicameral National Assembly; Wolesi Jirga (lower house) 249 seats, Meshrano Jirga (upper house) 102 seats. Judicial — Supreme Court, High Courts, and Appeals Courts. GDP (2010 est., purchasing power parity): $27.36 billion. GDP per capita (2009 est. ): $900. Agriculture (estimated 31.6% of GDP): Products — wheat, opium, sheepskins, lambskins, corn, barley, rice, cotton, fruit, nuts, karakul pelts, wool, and mutton. Industry (estimated 26.3% of GDP): Types — small-scale production of textiles, soap, furniture, shoes, fertilizer, cement; hand-woven carpets; natural gas, coal, and copper. Services (estimated 42.1% of GDP): Transport, retail, and telecommunications. Trade (2010-2011): Exports: $252 million (does not include opium): fruits and nuts, hand-woven carpets, wool, cotton, hides and pelts, precious and semiprecious gems. Major markets — Central Asian republics, United States, Russia, Pakistan, India. Imports — $2.9 billion: food, petroleum products, textiles, machinery, and consumer goods. Major suppliers — Central Asian republics, Pakistan, China, India. Currency: The currency is the afghani, which was reintroduced as Afghanistan's new currency in January 2003. As of November 21, 2011, $1 U.S. equaled approximately 48.28 afghanis. Afghanistan is an Islamic country. An estimated 80% of the population is Sunni, following the Hanafi school of jurisprudence; the remainder of the population — and primarily the Hazara ethnic group — is predominantly Shi'a. Despite attempts during the years of communist rule to secularize Afghan society, Islamic practices pervade all aspects of life. Islam served as a principal basis for expressing opposition to communism and the Soviet invasion. Islamic religious tradition and codes, together with traditional tribal and ethnic practices, have an important role in personal conduct and dispute settlement. Afghan society is largely based on kinship groups, which follow traditional customs and religious practices, though somewhat less so in urban areas. Afghanistan, often called the crossroads of Central Asia, has had a turbulent history. In 328 BC, Alexander the Great entered the territory of present-day Afghanistan, then part of the Persian Empire, and established a Hellenistic state in Bactria (present-day Balkh). Invasions by the Scythians, White Huns, and Turks followed in succeeding centuries. In AD 642, Arabs invaded the entire region and introduced Islam. Arab rule gave way to the Persians, who controlled the area until conquered by the Turkic Ghaznavids in 998. Following Mahmud's short-lived dynasty, various princes attempted to rule sections of the country until the destructive Mongol invasion of 1219 led by Genghis Khan. Following Genghis Khan's death in 1227, a succession of petty chiefs and princes struggled for supremacy until late in the 14th century, when one of his descendants, Tamerlane, incorporated Afghanistan into his own vast Asian empire. During the 19th century, collision between the expanding British Empire in the subcontinent and czarist Russia significantly influenced Afghanistan in what was termed "The Great Game." British concern over Russian advances in Central Asia and growing influence in Persia precipitated two Anglo-Afghan wars in 1839 and again in 1878. The first resulted in the destruction of a British army. The latter conflict brought Amir Abdur Rahman to the Afghan throne. During his reign (1880-1901), the British and Russians officially established the boundaries of what would become modern Afghanistan through the demarcation of the Durand Line. The British retained effective control over Kabul's foreign affairs. Habibullah, Abdur Rahman's son and successor, was assassinated in 1919. His third son, Amanullah, regained control of Afghanistan's foreign policy after launching the third Anglo-Afghan war with an attack on India in the same year. During the ensuing conflict, the war-weary British relinquished their control over Afghan foreign affairs by signing the Treaty of Rawalpindi in August 1919. In commemoration of this event, Afghans celebrate August 19 as their Independence Day. King Amanullah (1919-29) moved to end his country's traditional isolation. He established diplomatic relations with most major countries and introduced several reforms intended to modernize Afghanistan. Some of these, such as the abolition of the traditional Muslim veil for women and the opening of a number of co-educational schools, quickly alienated many tribal and religious leaders. Faced with overwhelming armed opposition, Amanullah was forced to abdicate in January 1929 after Kabul fell to forces led by Bacha-i-Saqao, a Tajik brigand. Prince Nadir Khan, a cousin of Amanullah's, in turn defeated Bacha-i-Saqao in October of the same year and, with considerable Pashtun tribal support, was declared King Nadir Shah. Four years later, however, he was assassinated in a revenge killing by a Kabul student. Mohammad Zahir Shah, Nadir Khan's 19-year-old son, succeeded to the throne and reigned from 1933 to 1973. In 1964, King Zahir Shah promulgated a liberal constitution providing for a two-chamber legislature to which the king appointed one-third of the deputies. Although Zahir's "experiment in democracy" produced few lasting reforms, it permitted the growth of unofficial extremist parties on both the left and the right. These included the communist People's Democratic Party of Afghanistan (PDPA), which had close ideological ties to the Soviet Union. In 1967, the PDPA split into two major rival factions: the Khalq (Masses) faction headed by Nur Muhammad Taraki and Hafizullah Amin and supported by elements within the military, and the Parcham (Banner) faction led by Babrak Karmal. The split reflected ethnic, class, and ideological divisions within Afghan society. Amid charges of corruption and malfeasance against the royal family and poor economic conditions, former Prime Minister Daoud seized power in a military coup on July 17, 1973. Zahir Shah fled the country, eventually finding refuge in Italy. Daoud abolished the monarchy, abrogated the 1964 constitution, and declared Afghanistan a republic with himself as its first President and Prime Minister. His attempts to carry out badly needed economic and social reforms met with little success, and the new constitution promulgated in February 1977 failed to quell chronic political instability. Opposition to the Marxist government emerged almost immediately. During its first 18 months of rule, the PDPA brutally imposed a Marxist-style "reform" program, which ran counter to deeply rooted Afghan traditions. In addition, thousands of members of the traditional elite, the religious establishment, and the intelligentsia were imprisoned, tortured, or murdered. Conflicts within the PDPA also surfaced early and resulted in exiles, purges, imprisonments, and executions. By the summer of 1978, a revolt began in the Nuristan region of eastern Afghanistan and quickly spread into a countrywide insurgency. In September 1979, Hafizullah Amin, who had earlier been Prime Minister and Minister of Defense, seized power from Taraki. Over the next 2 months, instability plagued Amin's regime as he moved against perceived enemies in the PDPA. By December, party morale was crumbling, and the insurgency was growing. In December 1978, Moscow signed a new bilateral treaty of friendship and cooperation with Afghanistan, and the Soviet military assistance program increased significantly. The regime's survival increasingly was dependent upon Soviet assistance as the insurgency spread and the Afghan army began to collapse. By October 1979, however, relations between Afghanistan and the Soviet Union were tense as Hafizullah Amin refused to take Soviet advice on how to stabilize and consolidate his government. Faced with a deteriorating security situation, on December 24, 1979, large numbers of Soviet airborne forces began to land in Kabul. They killed Hafizullah Amin and installed Babrak Karmal, exiled leader of the Parcham faction, as Prime Minister. Following the invasion, the Karmal regime, although backed by 120,000 Soviet troops, was unable to establish authority outside Kabul. As much as 80% of the countryside, including parts of Herat and Kandahar, eluded effective government control. An overwhelming majority of Afghans opposed the communist regime, either actively or passively. Afghan fighters (mujahideen) made it almost impossible for the regime to maintain a system of local government outside major urban centers. Poorly armed at first, in 1984 the mujahideen began receiving substantial assistance in the form of weapons and training from the U.S. and other outside powers. In May 1985, the seven principal Peshawar-based guerrilla organizations formed an alliance to coordinate their political and military operations against the Soviet occupation. Late in 1985, the mujahideen were active in and around Kabul. The failure of the Soviet Union to win over a significant number of Afghan collaborators or to rebuild a viable Afghan army forced it to bear an increasing responsibility for fighting the resistance and for civilian administration. Soviet and popular displeasure with the Karmal regime led to its demise in May 1986. Karmal was replaced by Muhammad Najibullah, former chief of the Afghan secret police (KHAD). As Prime Minister, Najibullah was ineffective and highly dependent on Soviet support. Undercut by deep-seated divisions within the PDPA, regime efforts to broaden its base of support proved futile. By the mid-1980s, the tenacious Afghan resistance movement was exacting a high price from the Soviets, both militarily within Afghanistan and by souring the U.S.S.R.'s relations with much of the Western and Islamic world. Informal negotiations for a Soviet withdrawal from Afghanistan had been underway since 1982. In 1988 the Geneva accords were signed, which included a timetable that ensured full Soviet withdrawal from Afghanistan by February 15, 1989. About 14,500 Soviet and an estimated one million Afghan lives were lost between 1979 and the Soviet withdrawal in 1989. Significantly, the mujahideen were party neither to the negotiations nor to the 1988 agreement and, consequently, refused to accept the terms of the accords. As a result, the civil war continued after the Soviet withdrawal, which was completed in February 1989. Najibullah's regime was able to remain in power until 1992 but collapsed after the defection of Gen. Abdul Rashid Dostam and his Uzbek militia in March. However, when the victorious mujahideen entered Kabul to assume control over the city and the central government, a new round of internecine fighting began between the various militias. With the demise of their common enemy, the militias' ethnic, clan, religious, and personality differences surfaced, and the civil war continued. Seeking to resolve these differences, the leaders of the Peshawar-based mujahideen groups established an interim Islamic Jihad Council in mid-April 1992 to assume power in Kabul. Moderate leader Prof. Sibghatullah Mojaddedi was to chair the council for 2 months, after which a 10-member leadership council composed of mujahideen leaders and presided over by the head of the Jamiat-i-Islami, Prof. Burhanuddin Rabbani, was to be set up for 4 months. During this 6-month period, a Loya Jirga, or grand council of Afghan elders and notables, would convene and designate an interim administration which would hold power up to a year, pending elections. The Taliban had risen to power in the mid-1990s in reaction to the anarchy and warlordism that arose after the withdrawal of Soviet forces. Many Taliban had been educated in madrassas in Pakistan and were largely from rural southern Pashtun backgrounds. 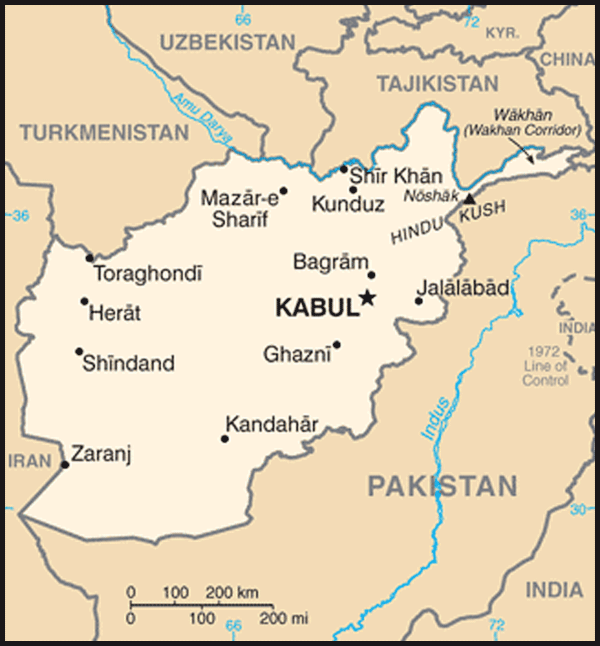 In 1994, the Taliban developed enough strength to capture the city of Kandahar from a local warlord and proceeded to expand its control throughout Afghanistan, occupying Kabul in September 1996. By the end of 1998, the Taliban occupied about 90% of the country, limiting the opposition largely to a small mostly Tajik corner in the northeast and the Panjshir valley. The Taliban sought to impose an extreme interpretation of Islam — based upon the rural Pashtun tribal code — on the entire country and committed massive human rights violations, particularly directed against women and girls. The Taliban also committed serious atrocities against minority populations, particularly the Shi'a Hazara ethnic group, and killed noncombatants in several well-documented instances. In 2001, as part of a drive against relics of Afghanistan's pre-Islamic past, the Taliban destroyed two huge Buddha statues carved into a cliff face outside of the city of Bamiyan. From the mid-1990s the Taliban provided sanctuary to Osama bin Laden, a Saudi national who had fought with the mujahideen resistance against the Soviets, and provided a base for his and other terrorist organizations. Bin Laden provided both financial and political support to the Taliban. Bin Laden and his al-Qaeda group were charged with the bombing of the U.S. Embassies in Nairobi and Dar Es Salaam in 1998, and in August 1998 the United States launched a cruise missile attack against bin Laden's terrorist camp in southeastern Afghanistan. Bin Laden and al-Qaeda acknowledged their responsibility for the September 11, 2001 terrorist attacks against the United States. Following the Taliban's repeated refusal to expel bin Laden and his group and end its support for international terrorism, the U.S. and its partners in an anti-terrorist coalition began a military campaign on October 7, 2001, targeting terrorist facilities and various Taliban military and political assets within Afghanistan. Under pressure from U.S. military and anti-Taliban forces, the Taliban disintegrated rapidly, and Kabul fell on November 13, 2001. Afghan factions opposed to the Taliban met at a United Nations-sponsored conference in Bonn, Germany in December 2001 and agreed to restore stability and governance to Afghanistan — creating an interim government and establishing a process to move toward a permanent government. Under the "Bonn Agreement," an Afghan Interim Authority was formed and took office in Kabul on December 22, 2001 with Hamid Karzai as Chairman. The Interim Authority held power for approximately 6 months while preparing for a nationwide "Loya Jirga" (Grand Council) in mid-June 2002 that decided on the structure of a Transitional Authority. The Transitional Authority, headed by President Hamid Karzai, renamed the government as the Transitional Islamic State of Afghanistan (TISA). One of the TISA's primary achievements was the drafting of a constitution that was ratified by a Constitutional Loya Jirga on January 4, 2004. On December 7, 2004, the country was renamed the Islamic Republic of Afghanistan. Since the fall of the Taliban regime, destabilizing factors have included activities by the Taliban and other insurgents and by al-Qaeda. The government's authority is growing, although its ability to deliver necessary social services remains largely dependent on funds from the international donor community. U.S. assistance for Afghanistan's reconstruction from fiscal year 2001 to the present totals over $72 billion, including support for security services. Donors pledged continued assistance for the rebuilding of the country at the June 2008 international Afghanistan support conference in Paris. Overall, the international community has made multi-year reconstruction and security assistance pledges to Afghanistan totaling over $100 billion. With international community support, including more than 49 countries participating in Operation Enduring Freedom and NATO-led International Security Assistance Force (ISAF), the government's capacity to secure Afghanistan's borders and maintain internal order is increasing. As of October 2011, Afghan National Security Forces (ANSF) had reached approximately 170,700 Afghan National Army (ANA) soldiers, and over 136,800 police, including border and civil order police, had received training. Reform of the army and police, to include training, is an extensive and ongoing process, and the U.S. is working with NATO and international partners to further develop Afghanistan's National Security Forces. As of October 2011, training and equipping programs for the ANSF remained at a steady pace to meet objectives of having 195,000 ANA and 157,000 Afghan National Police (ANP) by November 2012. Afghanistan maintains an embassy (http://www.embassyofafghanistan.org/) in the United States at 2341 Wyoming Avenue, NW, Washington, DC 20008 (tel: 202-483-6410; email: info@embassyofafghanistan.org). There are 34 provinces in Afghanistan. Each province is divided into small districts. There are approximately 364 districts although this number fluctuates. 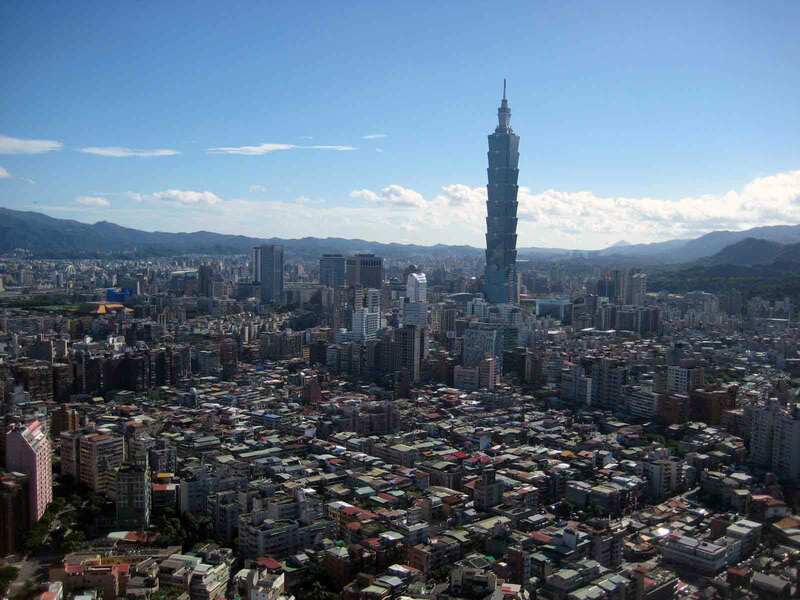 There are approximately 153 municipalities. Provincial line departments have basic service delivery responsibility in key sectors (health, education). Provincial governors are generally nominated by the Independent Directorate of Local Governance and appointed by the president. The United States is supporting a sustainable transition to Afghan leadership by partnering with the Afghans to build capacity, generate economic growth in support of fiscal sustainability, and foster efficiency between the national and sub-national governments. Transition is an essential pillar of the United States, NATO, and international community's long-term commitment to Afghanistan, and is a conditions-based process that is based on the assessment by a joint Afghan-international board that selected areas have achieved a level where they can effectively take charge of their own security. On March 22, 2011, President Karzai announced the first group of provinces and cities where primary security responsibility would be transferred from the international community to the Afghan National Security Forces. Afghan forces took the lead on security responsibilities in these areas in July 2011. A second group of provinces, cities, and districts for transition was announced in November 2011. With the completion of the first and second stages of transition, almost half the Afghan population will live in areas where primary security rests with the Afghan National Security Forces. By the end of 2014, Afghan forces will have the lead for security across the entire country. In the 1930s, Afghanistan embarked on a modest economic development program. The government founded banks; introduced paper money; established a university; expanded primary, secondary, and technical schools; and sent students abroad for education. Historically, there has been a dearth of information and reliable statistics about Afghanistan's economy. The 1979 Soviet invasion and ensuing civil war destroyed much of the country's limited infrastructure and disrupted normal patterns of economic activity. Gross domestic product fell substantially because of loss of labor and capital and disruption of trade and transport. Continuing internal strife hampered both domestic efforts at reconstruction as well as international aid efforts. However, Afghanistan's economy has grown at a fast pace since the 2001 fall of the Taliban, albeit from a low base. GDP growth exceeded 12% in 2007 and 3.4% in 2008; growth for 2009-2010 was 22.5% and was approximately 8.2% in 2010. Despite these increases, unemployment remains around 35% and factors such as corruption, security, and shortage of skilled workers constrains development and the conduct of business. In June 2006, Afghanistan and the International Monetary Fund (IMF) agreed on a Poverty Reduction and Growth Facility program for 2006-2009 that focused on maintaining macroeconomic stability, boosting growth, and reducing poverty. The IMF suspended credit programs in Afghanistan following the collapse and discovery of widespread fraud at the country's largest bank, Kabul Bank. Following regulatory action by the Government of Afghanistan to address the banking crisis, the IMF approved a new extended credit facility in November 2011. The new $133 million program is designed to enable progress toward a stable and sustainable macroeconomic position, assist in the management of the economic impact of withdrawal of international forces, and address governance and accountability issues. An estimated 79% of Afghans are dependent on agriculture and related agribusinesses for their livelihoods. Opium poppy production and the opium trade continue to have a significant monetary share of the country's agricultural economy. Licit commercial agriculture is playing a significant role in increasing the income of rural populations. The major food crops produced are: corn, rice, barley, wheat, vegetables, fruits, and nuts. The major industrial crops are: cotton, tobacco, madder, castor beans, and sugar beets. Agricultural production is constrained by an almost total dependence on erratic winter snows and spring rains for water; irrigation is primitive. Relatively little use is made of machines, chemical fertilizer, or pesticides. Afghan farmers need financing to buy quality seeds, fertilizer, and equipment. The United States and the international community are helping to restore banking and credit services to rural lenders, which now administer loans in nearly two-thirds of the country's provinces. As of September 2009, more than 52,300 agricultural loans ranging from approximately $200 to $2 million had gone to small businesses, with a repayment rate of 94%. Of these, 49% of loans had gone to women-owned businesses, and 27,700 borrowers were women. The program's success has encouraged commercial banks to extend revolving loans for agribusinesses. Funds have been provided for leases and to promote agro-processing and support for crop exports. In 2009, the United States significantly revised its counter-narcotics strategy for Afghanistan, ending direct involvement in eradication of poppy and increasing support for licit agriculture and interdiction. The new strategy puts heavy focus on going after those targets where there is a strong nexus between the insurgency and the narcotics trade, to deny resources to the Taliban. Poppy is easy to cultivate and opium is easily transported. Afghanistan produces the majority of the world's illicit opium. However, poppy cultivation has dropped by over 35% since 2007. Much of Afghanistan's opium production is refined into heroin and is either consumed by a growing regional addict population or exported, primarily to Western Europe. Afghanistan is endowed with natural resources, including extensive deposits of natural gas, petroleum, coal, copper, silver, gold, cobalt, chromite, talc, barites, sulfur, lead, zinc, iron ore, salt, rare earth elements, and precious and semiprecious stones. Unfortunately, ongoing instability in certain areas of the country, remote and rugged terrain, and an inadequate infrastructure and transportation network have made mining these resources difficult, and there have been few serious attempts to further explore or exploit them. The first significant investment in the mining sector is expected to commence soon, with the development of the Aynak copper deposit in east-central Afghanistan. This project tender, awarded to a Chinese firm and valued at over $2.5 billion, is the largest international investment in Afghanistan to date. The Ministry of Mines also plans to move forward with additional tenders in 2012. The most important resource has been natural gas, first tapped in 1967. At their peak during the 1980s, natural gas sales accounted for $300 million a year in export revenues (56% of the total). Ninety percent of these exports went to the Soviet Union to pay for imports and debts. However, during the withdrawal of Soviet troops in 1989, Afghanistan's natural gas fields were capped to prevent sabotage by the mujahideen. Restoration of gas production has been hampered by internal strife and the disruption of traditional trading relationships following the collapse of the Soviet Union. In addition, efforts are underway to create Reconstruction Opportunity Zones (ROZs). ROZs stimulate badly needed jobs in underdeveloped areas where extremists lure fighting-age young men into illicit and destabilizing activities. ROZs encourage investment by allowing duty-free access to the U.S. for certain goods produced in Afghanistan. Restoration of the "Ring Road" that links Kabul, Kandahar, and Herat with the northern cities of Mazar-e-Sharif and Kunduz continues. Much of the road has now been completed, including economically vital stretches linking Kabul, Kandahar, and Herat. Landlocked Afghanistan has little functioning rail, but the Amu Darya (Oxus) River, which forms part of Afghanistan's border with Turkmenistan, Uzbekistan, and Tajikistan, has barge traffic. During their occupation of the country, the Soviets completed a bridge across the Amu Darya. The Shirkan Bandar bridge, reconstructed with U.S. assistance, reopened in 2007 and has opened vital trade routes between Afghanistan and Tajikistan. The new Hairatan to Mazar-e-Sharif railway began operation in August 2011. The railway aims to increase trade between Afghanistan and Uzbekistan, reduce transport costs, increase vehicle operation savings, and create job opportunities. The railway construction project improved Hairatan's marshaling yard and railway station, constructed a new single-track railway line of about 75 km from Hairatan to Mazar-e-Sharif, constructed a new transshipment terminal facility at Mazar-e-Sharif, installed signaling and telecommunication systems, developed institutional capacity of the railway sector, and provided construction supervision and project management consultancy. Afghanistan's national airline, Ariana, operates domestic and international routes, including flights to New Delhi, Islamabad, Dubai, Moscow, Istanbul, Frankfurt, and Tehran. Civil aviation has been expanding rapidly and several private airlines now offer an alternative to Ariana and operate a domestic and international route network. The first, Kam Air, commenced domestic operations in November 2003. For nearly 3 decades, the availability of secure energy supplies in Afghanistan was significantly disrupted by conflict. Much of the country's power generation, transmission, and distribution infrastructure was destroyed, and what remained was stretched far beyond capacity. More than 90% of the population had no access to electricity. In January 2009, with the help of the Asian Development Bank and the Indian Government, electricity began to flow into Kabul along a newly constructed transmission line running from neighboring Uzbekistan. For the first time in more than a generation, the majority of the capital's 4 million people enjoy the benefits of power. In 2001, Afghanistan produced 430 megawatts of electricity. As of 2009, the installed generation capacity had grown to 1,028 megawatts. International statistics maintained by the World Bank indicate the ratio of gross domestic product (GDP) growth to electrical production is approximately $1,000 to 300 kWh. The United States has provided considerable assistance to help develop new electricity generation capacity and provide 24-hour power in key cities including Kabul, Lashkar Gah, and Kandahar. Major projects carried out include refurbishment of power generation capacity at Kajaki Dam in the south and opening the Kabul power plant. Under the U.S. and partners' supervision, the Afghan Government has transferred all assets, liabilities, and personnel from the troubled, state-run power utility Da Afghanistan Breshna Mosesa (DABM) to the new corporatized national electricity utility Da Afghanistan Breshna Sherkat (DABS). The move was a significant breakthrough in Afghan Government and donor efforts to modernize and begin to commercialize the national electricity sector. Landmines and other explosive remnants of war affect virtually every province in Afghanistan, a tragic legacy of nearly 3 decades of continuous conflict. According to the Mine Action Coordination Center of Afghanistan, 77 people were injured or killed in the first quarter of 2011 by landmines and other explosive remnants of war. This represented a significant decrease compared to the high point of a monthly average of 176 casualties in 2001-2002. Of the total, 77% were children and 94% of the overall casualties were caused by explosive remnants of war and unexploded ordnance. As in many countries struggling to recover from conflicts, landmines and unexploded ordnance inhibit development, disrupt markets and production, prevent the delivery of goods and services, and generally obstruct reconstruction and stabilization efforts. Removing these deadly hazards enables socio-economic development that could further the larger goal of promoting stability and security in Afghanistan and the wider region. Many Afghan non-governmental organizations (NGOs) such as Organization for Mine Clearance and Afghan Rehabilitation (OMAR), Afghan Technical Consultants (ATC), Demining Agency for Afghanistan (DAFA), Mine Clearance Planning Agency (MCPA), and Mine Detection Center Afghanistan (MDC) have hard-won demining expertise and experience. The United States works with a wide array of international partners in mine action efforts in Afghanistan, but the majority of U.S. financial assistance for demining in Afghanistan goes directly to Afghan-run NGOs, which have pioneered an approach called "community-based demining." The United States also works with international NGOs: The HALO Trust, Swiss Foundation for Mine Action, Marshall Legacy Institute, Clear Path International, and Danish Demining Group. Since FY 1997, the United States has provided more than $220 million for humanitarian mine action in Afghanistan, making it the largest international donor to Afghanistan for this type of assistance. International and Afghan partners have used these funds to clear more than 225 million square meters of land and are now extending these efforts through community-based demining. Afghanistan has one of the highest mortality rates in the world: one in five children dies before the age of five and one out of every eight Afghan women die from causes related to pregnancy and childbirth each year. Life expectancy is 49 years for both men and women. While these statistics are tragic, there has been progress. Recent reports indicate that 85% of the population has access to basic health services within 1 hour of travel to a health facility (68% for those on foot) — up from 9% in 2002. More than 1,650 professional midwives are employed by the ministry of public health, providing health care and childbirth services across Afghanistan. This has helped reduce infant mortality rates, and child mortality has also fallen since 2002. The U.S. through various agencies and in conjunction with the Afghan Government has implemented health programs to help meet the immediate health care needs of the population by strengthening the health care service delivery system; addressing the management leadership and stewardship capacity of the Afghan health care system at the central, provincial, district, and community levels; and increasing demand for and access to quality health products and services through the private sector — 60% of the population receive health care from the private sector. Insecurity along the border, especially in the south, has led to a lack of health workers. Polio cases increased from seven in 2004 to 38 in 2009. Twenty-five cases were reported in 2010, and 10 confirmed cases were reported in the first 6 months of 2011. The U.S. supports the national Polio Eradication Initiative to strengthen Afghanistan's immunization communication, service delivery, and surveillance networks. As a result of this assistance, more than 7 million Afghan children (nearly 90% of children under the age of 5) had been vaccinated against polio by 2010. Tuberculosis (TB) is one of the main public health burdens in Afghanistan, killing 8,200 people in 2007. WHO reported 46,000 new cases of TB in 2009, with twice as many women infected as compared to men. The United States also supports tuberculosis detection, treatment, and control efforts in 13 target provinces using the Directly Observed Therapy, Short Course (DOTS) methodology of 6 months to 8 months of directly administered medication and monitoring. As of November 2011, DOTS coverage was 97%, case detection was 64% (below WHO's target of 70%), and treatment success was slightly below the target of 85%. Adult literacy activities increased rapidly in 2009. Learning centers grew from 1,100 to 6,865, and activities expanded from 9 to 20 provinces, bringing literacy and financial services to over 169,000 beneficiaries (62% female). Ongoing support of literacy and basic education is paramount, as well as the quality and preparation of teachers in order to close the literacy gap left by 30 years of conflict. University enrollment has grown to 62,000. Afghanistan is an active member of the international community, and has diplomatic relations with countries around the world. In December 2002, the six nations that border Afghanistan signed a 'Good Neighbor' Declaration, in which they pledged to respect Afghanistan's independence and territorial integrity. Neighboring countries, including regional partners such as Russia, Turkey, and China, signed the Istanbul Declaration in November 2011, reaffirming the 'Good Neighbor' Declaration and committing to the Istanbul Process for continued regional meetings. In addition, Afghanistan and its South Asia neighbors meet annually at the Regional Economic Cooperation Conference (RECC), promoting intra-regional relations and economic cooperation. On December 5, 2011, the international community is scheduled to follow up on these regional commitments by meeting again in Bonn, 10 years after the first Bonn conference in 2001 that established Afghanistan's interim government. Participants at the 2011 conference will discuss the international community's long-term engagement in Afghanistan and support for Afghan security and development. During the war against the Soviet occupation, Pakistan served as the primary logistical conduit for the Afghan resistance. 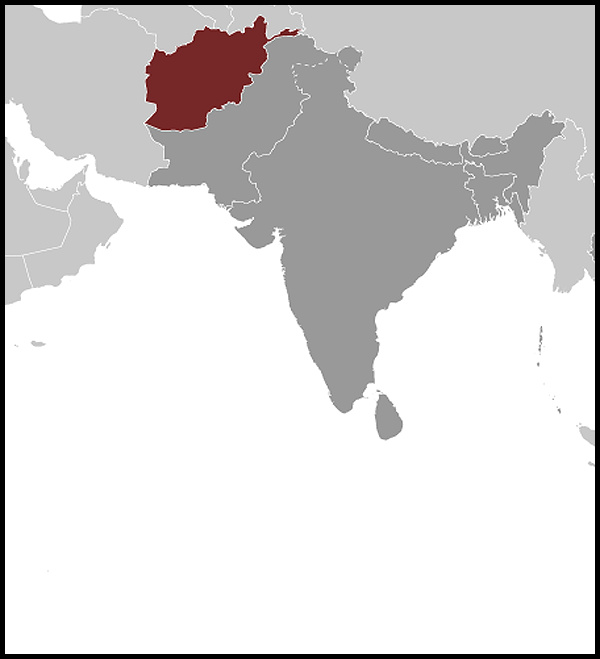 Pakistan initially developed close ties to the Taliban regime, and extended recognition in 1997. However, after September 11, 2001 Pakistan altered its policy in support of coalition efforts to remove the Taliban. Although frictions and suspicions persist, Afghanistan and Pakistan are engaged in dialogue to resolve bilateral issues such as border security, immigration, and trade. Regular meetings are held at the head of state and ministerial levels through a trilateral dialogue between Afghanistan, Pakistan, and Turkey. The main issue of contention between Afghanistan and Pakistan is the sanctuary Afghan insurgents enjoy in Pakistan's mountainous border regions. Afghanistan's relations with Iran have fluctuated over the years, with periodic disputes over the water rights of the Helmand River as the main issue of contention. Following the Soviet invasion, which Iran opposed, relations deteriorated. Iran supported the cause of the Afghan resistance and provided financial and military assistance to rebel leaders who pledged loyalty to the Iranian vision of Islamic revolution. Following the emergence of the Taliban and their harsh treatment of Afghanistan's Shi'a minority, Iran stepped up assistance to the Northern Alliance. Relations with the Taliban deteriorated further in 1998 after Taliban forces seized the Iranian consulate in Mazar-e-Sharif and executed Iranian diplomats. Since the fall of the Taliban, Afghanistan's relations with Iran have improved. Iran has been active in Afghan reconstruction efforts, particularly in the western portion of the country. In order to diversify supply routes to Afghanistan to meet immediate military needs, U.S. military planners have adopted the Northern Distribution Network (NDN), a commercially based logistical corridor connecting Baltic and Black Sea ports with Afghanistan via Russia, Central Asia, and the Caucasus. Its establishment also offers an opportunity for intraregional trade. Such commerce can provide sustainable income for Afghanistan and Central Asia, deepen Afghanistan's integration with neighboring states, and contribute to regional stability. Over the past few years, Afghanistan and its northern neighbors have sought to increase trust and economic cooperation. At last count, 122 Afghan enterprises were registered in Uzbekistan, 39 of which operated with 100% Afghan investment. Tajikistan and Uzbekistan are in various stages of supplying electricity to northern Afghanistan and Kabul. Turkmenistan and Afghanistan are seeking closer cooperation through a broad package of mutual cooperation that includes support for a trans-Afghan gas pipeline, transit of Turkmen electricity to neighboring countries through Afghanistan, extension of a Turkmen rail network to Afghanistan, and a common struggle against narcotics and terrorism. The UN has played an important role in Afghanistan for more than 20 years, assisting in the repatriation of Afghan refugees and providing humanitarian aid. The UN Assistance Mission in Afghanistan (UNAMA), launched in October 2001, was instrumental in helping restore peace and stability in Afghanistan after the fall of the Taliban, organizing the Afghan presidential elections held in October 2004 and National Assembly elections held in 2005. On January 28, 2010, Staffan de Mistura of Sweden was appointed as Special Representative of the UN Secretary-General for Afghanistan (SRSG). In March 2011, the UN Security Council renewed UNAMA's mandate until March 2012. UNSC resolutions authorizing UNAMA have recognized the key role the UN plays in coordinating international efforts in Afghanistan and the critical support UNAMA provides to the Afghan Government on matters of security, governance, and regional cooperation. They have directed that UNAMA and the SRSG continue to lead international civilian efforts on the rule of law, transitional justice, anti-corruption, realizing the Afghan Government's development and governance priorities, and strengthening cooperation between ISAF and the NATO Civilian Representative to improve civilian-military coordination. UNAMA website: (http://unama.unmissions.org). After the fall of the Taliban, the U.S. supported the emergence of a broad-based government, representative of all Afghans, and actively encouraged a UN role in the national reconciliation process in Afghanistan. The U.S. has made a long-term commitment to help Afghanistan rebuild itself after years of war. The U.S. and others in the international community currently provide resources and expertise to Afghanistan in a variety of areas, including humanitarian relief and assistance, capacity-building, security needs, counter-narcotic programs, and infrastructure projects. During his December 1, 2009 speech at West Point, President Barack Obama laid down the core of U.S. goals in Afghanistan: to disrupt, dismantle, and defeat al-Qaeda and its safe havens in Pakistan, and to prevent their return to Afghanistan. In June 2011, President Obama announced that the United States would remove 10,000 of its troops from Afghanistan by the end of 2011 and a total of 33,000 troops by the summer of 2012, fully recovering a surge in personnel that he had announced at West Point. After this initial reduction, U.S. troops are to continue the phased drawdown at a steady pace as Afghan security forces move into the lead. By 2014, this transition process will be complete, and Afghanistan will be responsible for its own security. While the U.S. combat mission in Afghanistan is transitioning primary security responsibility to Afghan National Security Forces, the United States plans to remain politically, diplomatically, and economically engaged in Afghanistan for the long term. A Strategic Partnership Declaration between the United States and Afghanistan will solidify the long-term partnership. The United States fully supports the ambitious agenda set out by the Afghan president, focusing on reintegration, economic development, improving relations with Afghanistan's regional partners, and steadily increasing the security responsibilities of Afghan security forces. Rapid progress on this agenda is important and requires international support. Toward this end, the U.S. is encouraging the Afghan Government to take strong actions to combat corruption and improve governance, and to provide better services for the people of Afghanistan, while maintaining and expanding on the important democratic reforms and advances in women's rights that have been made since 2001. The U.S. Embassy (http://kabul.usembassy.gov/) in Afghanistan is at the Great Masoud Road, Kabul (tel: (00 93) (20) 230-0436; fax: (00 93) (20) 230-1364).